Owning a home comes with many responsibilities, including maintaining any yard areas. Your landscaping may provide you with a gorgeous view and lovely shade in the afternoon, but becomes a potential liability when trees either start to die or become damaged from a storm. Dead or damaged trees can become an expensive problem if they are not either maintained or removed. Weakened branches can fall off and whole trees can tumble over in certain conditions. This puts your home, your car, and even your neighbor’s property at risk, depending on where the tree is located. Time and weather can work together to weaken trees that once stood tall and strong. 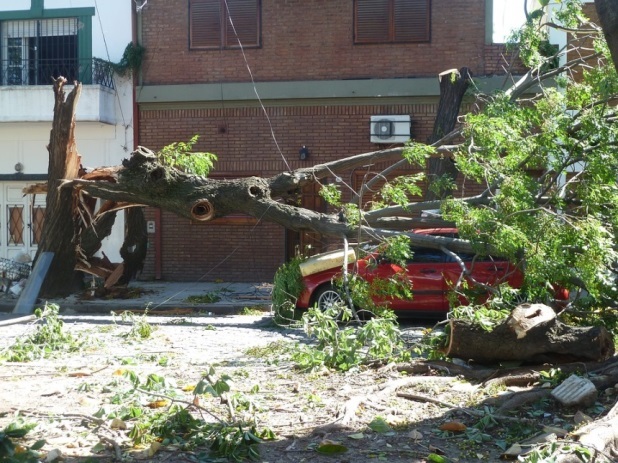 Strong winds, lightning, and hurricanes can all put a strain on trees which can slowly cause damage over time as well as impact a tree overnight. Waking up to find a tree in your yard that is no longer upright, but suddenly leaning to the side often means it’s time to get help. With inclement weather and the forces of gravity, your property is at risk. In those scenarios, 24-hour emergency services can mean the difference between walking away with minimal damages or severe property damage that could take months to repair. Turn to the licensed contractors at DKI to have hazardous trees evaluated and, if necessary, removed. The DKI professionals provide 24-hour emergency service, helping to protect your home around the clock, whenever disaster may strike. « What Does Water Damage Restoration Involve?